The University of Malta in association with the Embassy of Malta organized a delegation to Malta comprising of Principals from India for a 9 day training and development program on “Edward De Bono Tools for School Leaders”. The principal, Ms. Archana Narain, of The Indian Heights School, Sector 23, Dwarka, attended this conference in Malta along with 11 Principals across the various schools of India. This conference enabled School Heads to think ”Out of the Box” thereby helping their schools to become more innovative. They interacted with the students, faculty and senior officials of the University, and participated in an academic programme exclusively designed for them by the faculty of Edward De Bono Institute of the University of Malta. This program included agendas like visit to schools and colleges where these tools have been effectively applied and are successful. They also met with senior officials from the Ministry of Education to learn about the education system in Malta as well as with senior officials from the University of Malta to explore areas of mutual interest and cooperation. The visit aimed at showcasing Malta and its educational, cultural and social setting. The University is placing a special emphasis on developing collaborative exchanges with Indian education experts, academics and institutions of learning. 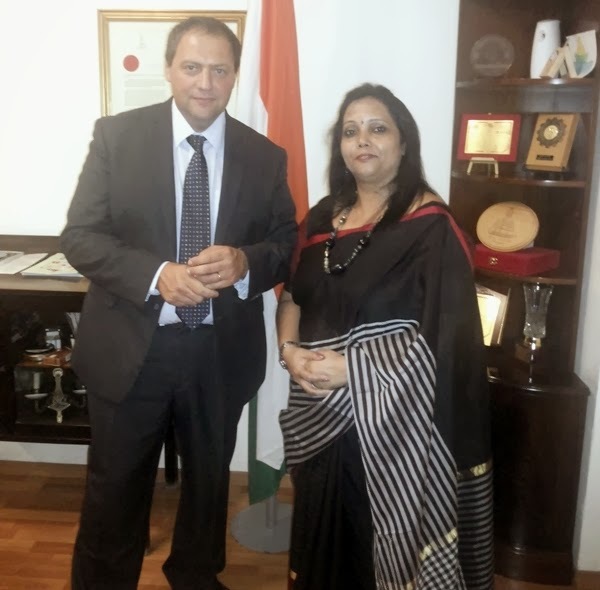 This event was supported and facilitated by the High Commission of Malta in India. The conference was a rich learning experience and the information, views and suggestions gathered will go a long way in making our teaching learning process more effective.